Join us for 10-week support group at Rehoboth Baptist Church. March, 2019 through May, 2019. Click here for more information. 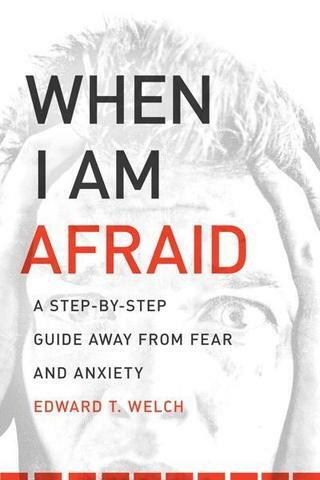 The workbook, “When I Am Afraid: A Step-By-Step Guide Away From Fear and Anxiety”, was written by Dr. Ed Welch. This workbook is a compliment to Dr. Welch’s book on fear, “Running Scared: Fear, Worry, and the God of Rest”. Both these resources are recommended reading but are not required for participation in our group. How will this group help me? "One of the haunting dilemmas of the human condition is that fear is an inescapable feature of earthly life. Every person who has lived on this earth has encountered fear. Tragically, for this reason our race for the good life finds us all too often running scared." Ed Welch, Ph.D. author of the book, "Running Scared: Fear, Worry & the God of Rest". David and Lynn Bradford are leading this weekly support group focused on the topic of fear and anxiety. David trained for counseling under Dr. Welch and others at Westminster Theological Seminary, Philadelphia, PA. The Bradfords work as full-time counselors at Find Hope Counseling. Fear and anxiety are some of the most common fare in the counseling setting. As with most inner struggles, listening to others share their story will forge a sense of connection. This connection is an aspect of how God designed humans for community. The Bible uses the Greek term koinonia which means a "close association involving mutual interests and sharing". Through the close association with other Christians in the context of mutual interest in the topic of fear and anxiety we grow in God's grace. Sharing together with other believers in the same manner of struggle how God intends for us to live as Christians.